We picked several off-the-beaten-track historical neighborhoods where you can see the real St. Petersburg and enjoy local life without the hassle of touristy spots. 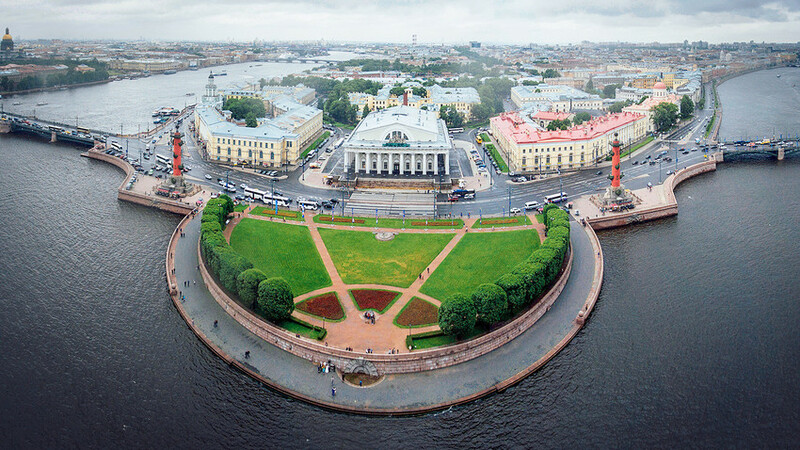 Peter the Great had a dream to build St.Petersburg’s downtown on this island’s eastern tip, and today it’s one of the city’s oldest districts. Peter wanted to make his own version of Amsterdam, but his dream didn’t come true because the canals here were too muddy and smelly. Eventually, they were filled in. In place of the canals, the island today has 29 ‘lines,’ which is how they call the old north-to-south streets. Parts of the 6th and 7th Lines now comprise a pedestrian zone, and we recommend taking a stroll there. Stop near the monument to “konka” – the horse-drawn trams that first appeared in 1863; it’s right near Vasilieostrovskaya metro station. Also, you can listen to local musicians play near the monument to Vasily Korchmin, Peter the Great's main engineer and artilleryman, who according to legend, gave the island’s name. To imagine how the city looked in the 1720s, have a look at the Troekurov House (#13 on the 6th Line), and visit nearby St. Andrew’s Cathedral. The 6th and 7th Lines have plenty of affordable dining options – Teremok café; Market Place eatery; Kvartirka, a Soviet-style café; the vegetarian Ukrop; and a local bakery, Volchek. Comprised of seven large islands, the whole district is named the Petrodgrad Side. The main and largest island hugs the Peter and Paul Fortress, the city’s birthplace, but a small canal separates the two. Even though it’s so close to the center, the Petrograd Side was an undeveloped backwater until the Troitsky Bridge was built in 1903. 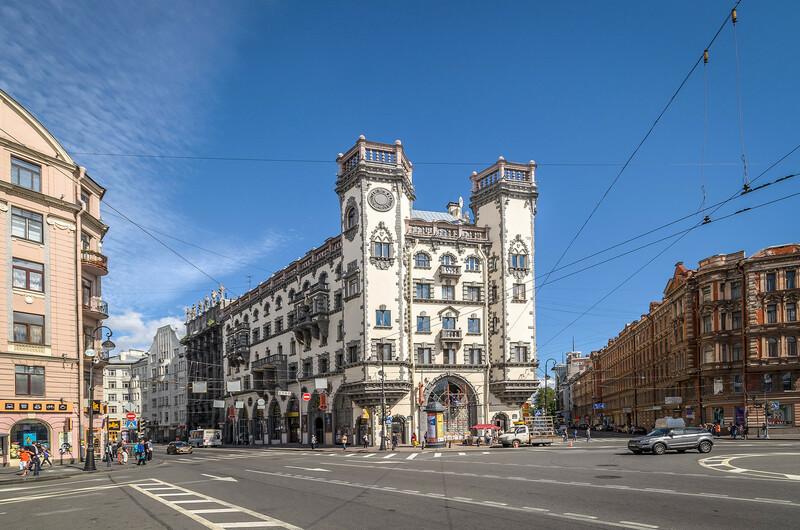 Thanks to the bridge connecting to the mainland, as well as the economic boom of the late imperial era, the Petrograd Side became the most fashionable district of the early 20th century, and the majority of houses were built in the Art Nouveau style for the growing middle class. Architecture lovers will enjoy walking along Kamennoostrovsky Prospect from Gorkovskaya to Petrogradskaya metro stations. Foodies should plan to spend an entire day on the island. “For the city’s best coffee, head to Bolshoi Bar (Bolshoi Prospect 45); for good beer and currant lambic go to Pubnik (Bolshoi Prospect 47). Have dinner in the restaurant, Mesto, or savor sushi at Suki; don’t miss Belka whose large windows stay open all summer,” Anna added. This district is also famous for its parks, located on Krestovsky, Kamenny and Elagin islands. You can walk around historical mansions while looking at colorful flowers here. One note about street addresses: both the Petrograd Side and Vasilevsky Island have a ‘Bolshoi Prospect,’ (as well as a ‘Maly Prospect’). So, always double-check which district you need before you go. 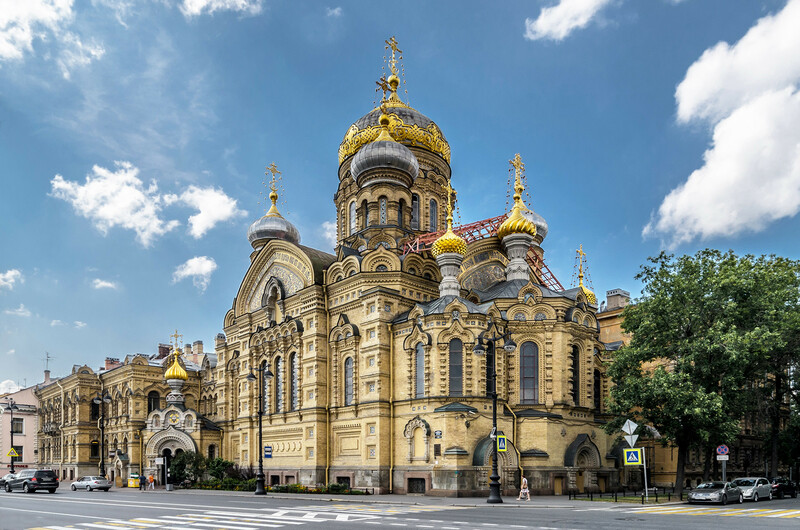 These are must-see areas for anyone who loves writer Fyodor Dostoevsky, a local resident who described this neighborhood in his novel, Crime and Punishment. Start from the square and visit the Sennoy food market, which is hidden away in the beginning of Moskovsky Prospect. Then walk along Griboedov Canal up to Stolyarny Lane, where the main character of Crime and Punishment, Raskolnikov, lived and planned his bloody crime. Take a selfie at the pedestrian Lions Bridge, which is informally known among Instagramers as the “Keanu Reeves Bridge” because the Hollywood actor was filmed there last summer. 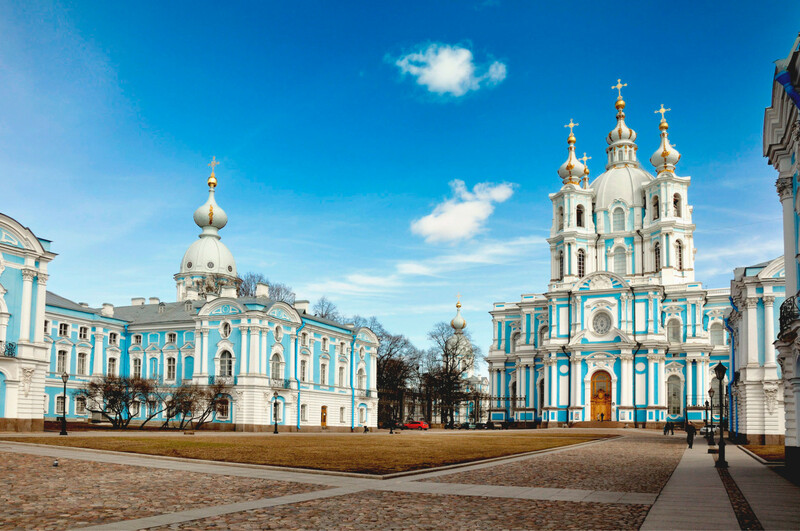 When you reach the St. Nicholas Naval Cathedral and cross Kryukov Canal, you find yourself in Kolomna – a well-preserved and quiet historical district that has always been home to the artistic underground. Traditionally, many actors, ballet dancers and musicians from the nearby Mariinsky Theater have lived there. Local artist Ekaterina Khozatskaya often makes her sketches in Kolomna bars and restaurants. 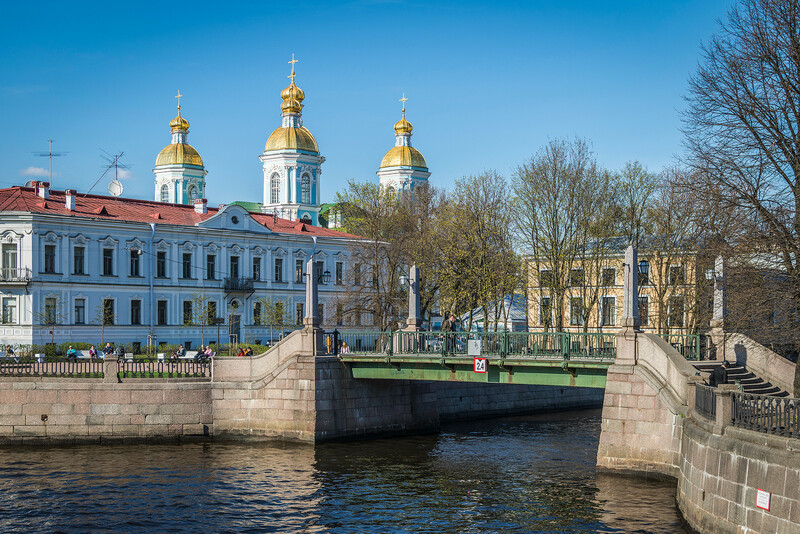 This district is named after Smolny Monastery and located near Chernyshevskaya metro. In the past “smolyanoy dvor” was here – a place of pine tar production, which was widely used in shipbuilding. In the 1740s Empress Elizabeth commissioned the construction of the convent where she planned to spend the end of her life as a mother superior. Her favorite Italian architect, Rastrelli, built a 93-meter high cathedral that looks like a wedding cake. Climb up its bell-tower to get an unusual and spectacular city view. Smolny is also known as the seat of the city government, and the governor works in the former Smolny Institute, a five-minute walk from the monastery. It originally housed a finishing school for noble girls, but in the early 20th century it became the No. 1 tourist attraction for communists. From here, Vladimir Lenin and Leo Trotsky orchestrated the October Revolution, and on Oct. 25, 1917 the All-Russian Congress of Soviets bestowed power on Lenin’s new Bolshevik government. Take a selfie with the monuments to Marx and Engels, and sample Soviet food at Tsentralny restaurant, which specializes in local Leningrad recipes. The best way to get to Smolny is to walk along Furshtatskaya Street, which has many luxurious imperial-era mansions and fine cafes. You’ll then reach Tavrichesky Garden, which is popular among locals for city picnics, sunbathing and playing frisbee.